Holidays to Botswana up to -70% off To take advantage of these offers, join now for free! 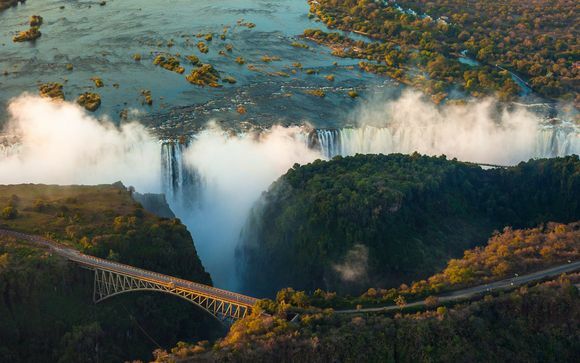 Enjoy luxury holidays to Botswana, home to one of the lushest animal habitats in the world, with Voyage Privé and discover this stunning South African country; book online today. With one of our last minute holidays to Botswana, you can soak up the culture of this unique African country. You can experience the diverse game reserves Botswana has to offer and soak up the sun the country is known for. Experience giraffes and elephant in their natural habitats and get up close with hyenas and cheetahs. 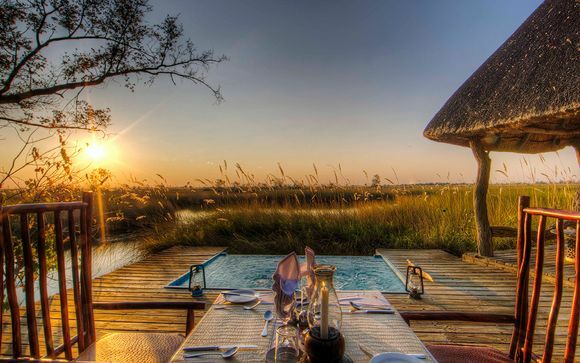 Our complete holiday packages mean your visit to Botswana will be completely worry-free, you can enjoy your stay at one of the beautiful hotels Botswana has to offer. The locals are very friendly and always happy to show you their country. There is so much to see and do, that Botswana is certain to please. In 2016, it won the Lonely Planet’s top country to visit award. Book one of our last minute holidays to Botswana and you will find yourself transported to one of the world’s greatest natural paradises. Take a look at Tsodilo in the Kalahari Desert and you can see more than 4,500 cave paintings, the largest concentration of rock art in the world. At Chobe National Park, you can get a look at the largest variety of water birds and mammals in one place. Whatever you decide to do during your stay in Botswana, you’re sure not to be disappointed. By choosing one of our handpicked offers in Botswana you can experience the true beauty of the country and experience this opulent African country in full. Our packages are designed to give you the best experience with exclusive prices you won’t find elsewhere. When spending time in Botswana, you have the unique opportunity to experience life as the locals do. From their homegrown crops, to how they carry water, the locals here have very little machinery or technology at their disposal. It is one of the best destinations if you are looking to get away from it all and reconnect with nature. The locals are happy to teach you how to fish, and there is a whole range of activities to learn and get involved with. Locals are also always happy to show you around and act as a tour guide. If you haven’t already, sign up to our website to see all of our available deals and handpicked offers. By signing up you can select the areas you are most interested in visiting and we will then send you alerts when offers are available. As our selection changes every week, this is the best way to ensure you get the holiday of your dreams at the price of your dreams.